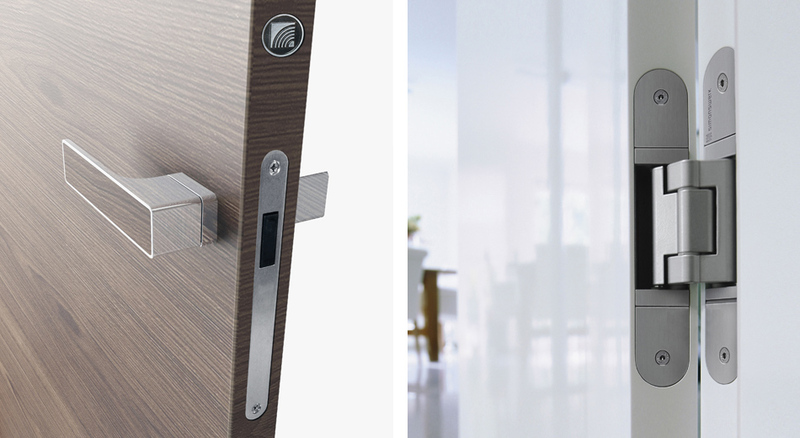 Our interior doors are comfortable for their users and possess a vast range of original technical solutions. They are highly design elements of every home. 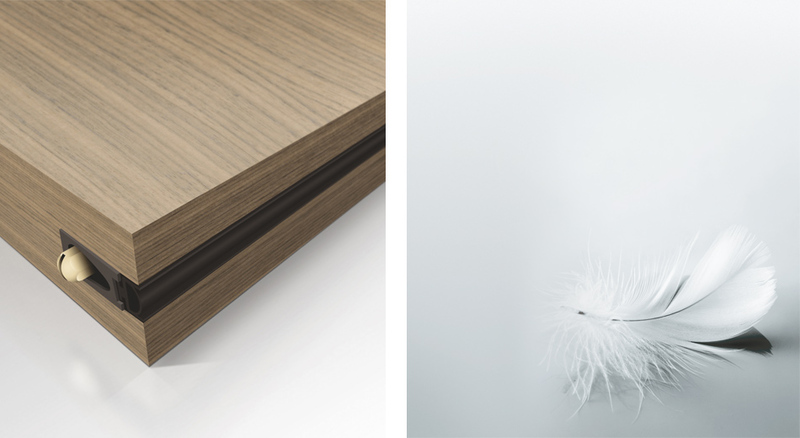 The topic of our miniseries are engineering solutions and design advantages that make the HANÁK interior doors the products of the highest quality and original in every possible way. Here is the list of the most important aspects. We are describing what our interior door wings and jambs differ in. We are describing what our interior door wings and jambs differ in. Our door wing characteristics are high mechanical resistance and consistent and stable shape. The great resistance and lifetime are corroborated by tests and certificates with the highest possible results. 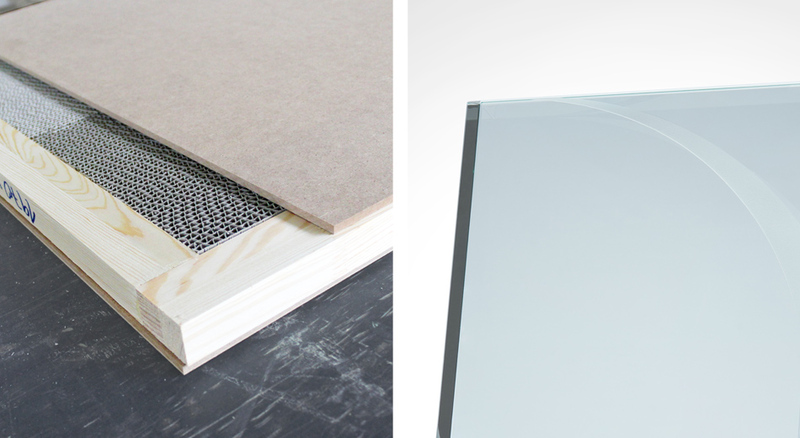 We offer hardened glass in standard and high safety. There are also sandblasted motifs in our range of products. Strip-free glazing is an elegant solution with flush strips that do not distort the design. Custom glazing is available at various options. Bonding of the furniture edges including interior doors as well is carried out with PUR glues of the most advanced SLIM-LINE technology. This technology creates waterproof bonding to door edge and door wing and thus encloses the whole surface. 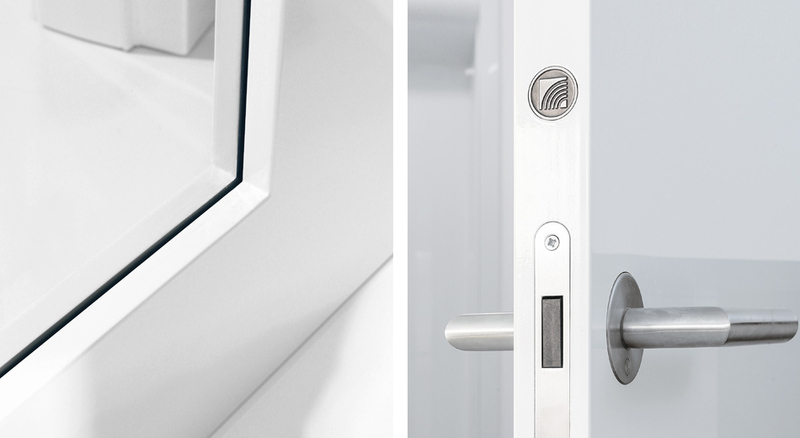 We provide a magnetic lock at our doors without surcharge. Its main advantages are a silent operation and guaranteed cycle of 150 cycles. 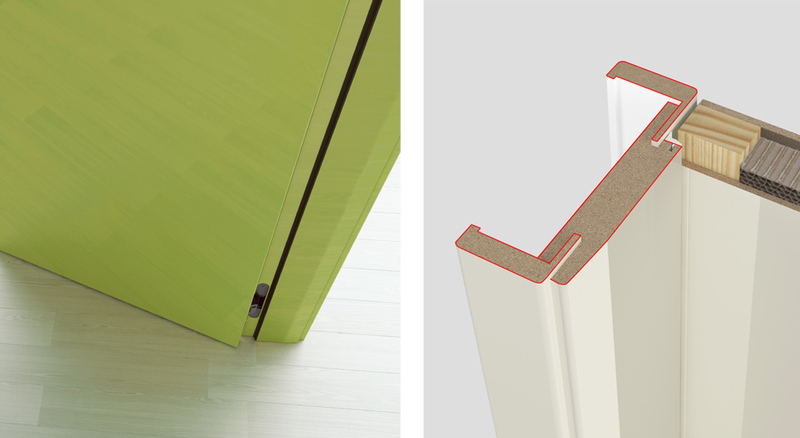 The Tectus hinges with an opening angle of 180° have load capacity 60 kg per hinge. They are adjustable in three axes. The dropping threshold strip secures thermal and sound insulation and precise sealing. As far as surface finish is concerned, all edges and holes are bonded. Thanks to high quality we guarantee colour fastness and resistance to humidity. The7-layer premium HANÁK lacquer is a synonym for the highest quality varnishing. There is no better design and quality solution to the door jamb than the door jamb in high gloss. Its unique rounded shape gives the HANÁK door jamb design the mark of originality. The width of the jamb is specific as well as its sealed rear. 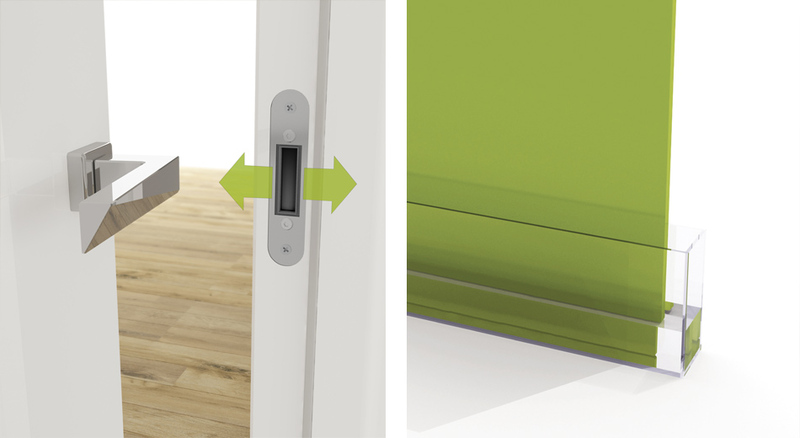 A magnetic lock with an adjustable counter-plate is a standard at our interior doors, which means no surcharge. It brings ease of opening doors. The mechanism enables more comfortable and quiet operation. 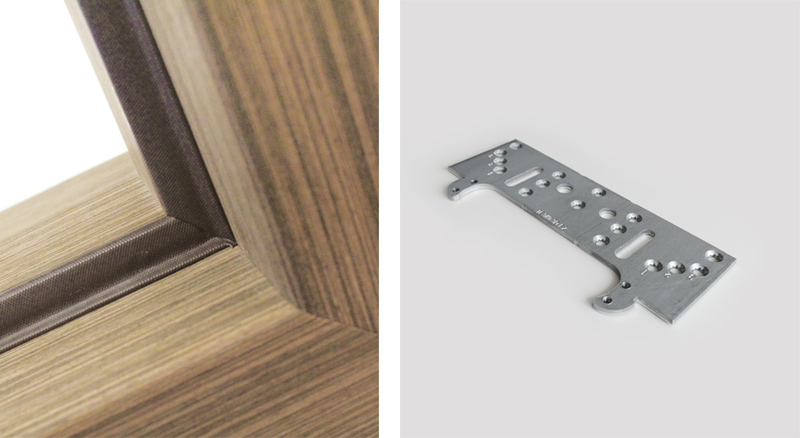 By this adjustable counter-plate we can always achieve a perfect sealing of the door wing. Besides, the counter-plate is hidden and does not corrupt the specific appearance of the door. We apply high quality Q-LON sealing made of polyethylen foam with consistent flexibility. This sealing has a great capacitiy of returning with 100% elasticity and is resistant to detergents. The assembly of the hinge with its steel grooves is carried with using metric threading. Our doors have greater resistance to load. We are capable to produce any custom doors including atypical ones into an atypical space. We can make doors with fanlights, bevelled edges or doors into wall facing. 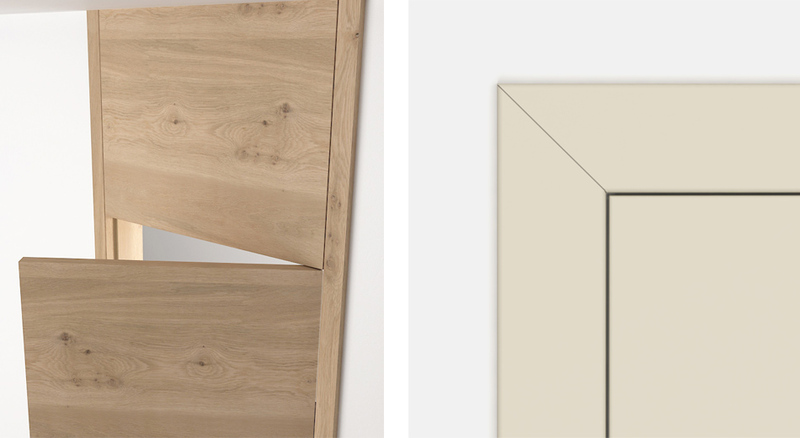 You can choose either a classic facing joints 45°on veneer design or 45°and 90° on varnish one. This offer at the HANÁK interior doors has no surcharge.